Anemones are beautiful flowers with a beautiful name. Equally lovely is the Anemone stitch in knitting. Anemones are actually a member of the buttercup family, though some stories have them related to the Poppy. Anemones grow in rich jewel colours - blues, purples and reds. Red is actually the predominant colour. In greek mythology, it is believed that the flower originated from the blood of Adonis. 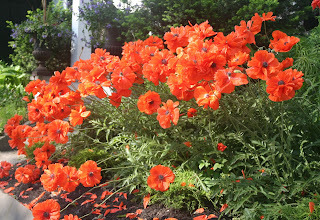 Well Poppies are red and Buttercups are yellow so I am leaning towards those who relate Anemone to Poppies. 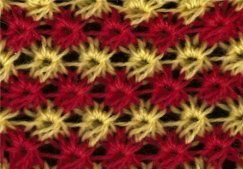 And for those who wish to relate to both - here is the Anemone stitch in knitting using two colours - red and yellow. The name Anemone comes from the greek word for wind - Anemos - because apparently the seeds of the flowers are blown by the wind. The new flowers grown from these seeds then become the "daughters of the wind." The ancient Greeks were such romantics!! Think of the romance that you bring to your knitting, when you design with the Anemone stitch!!! 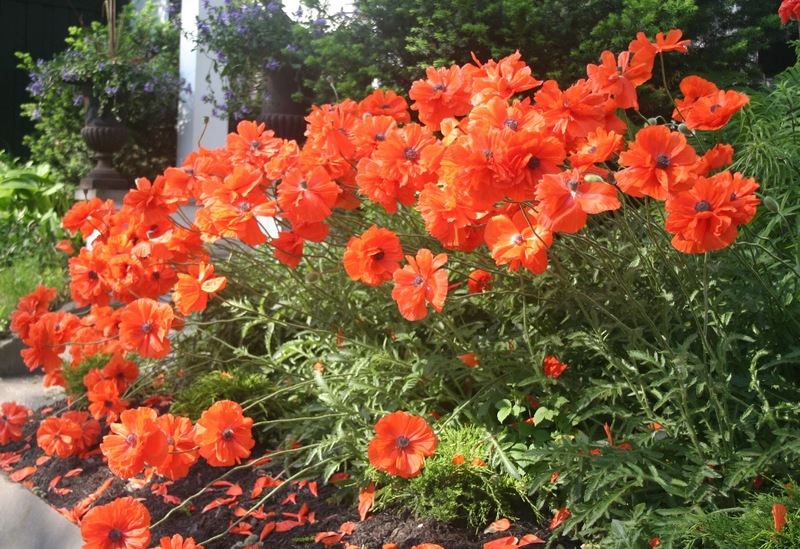 I don't have a picture of Anemones; but I do have one of poppies.